Six Hills Cays in the shallow Caicos Banks. 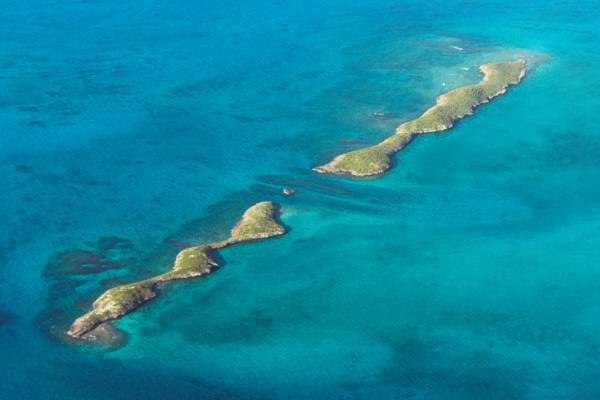 The scenic Six Hills Cays are two long and thin islands separated by a channel. Found about six miles southwest of South Caicos, the terrain of these islands consists of limestone bluffs covered with low coastal vegetation. The Six Hills Cays are part of the Admiral Cockburn Land and Sea National Park. Six Hills Cays, Turks and Caicos.